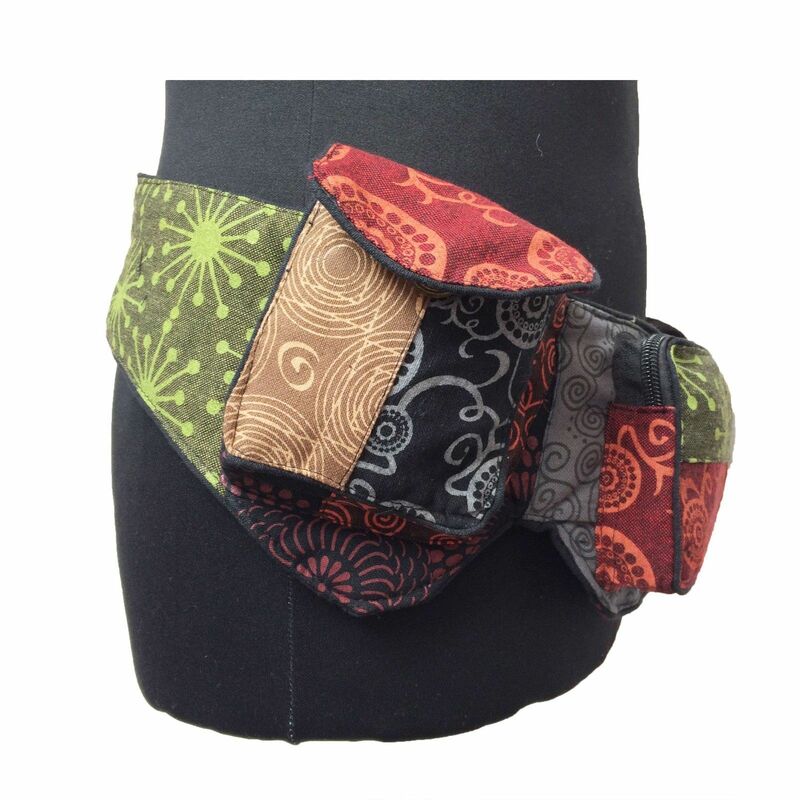 These waist belts are made from pretty patchwork floral cotton. The belt has one rear security zip pocket, three front pockets with zips and magnetic poppers and a small coin zip pocket. 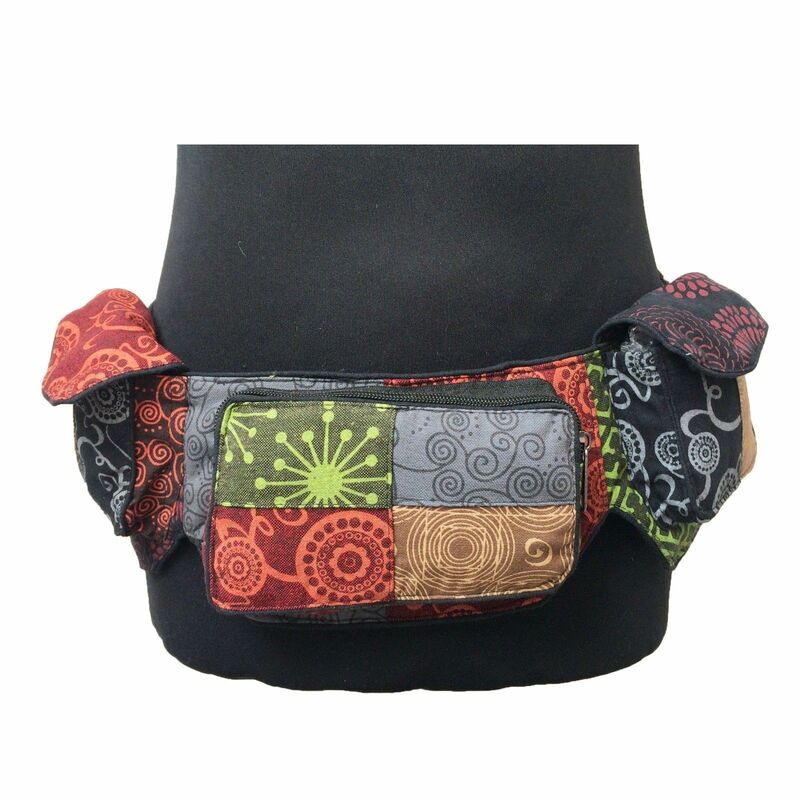 The waist band has a snap clip and is adjustable up to 37" / 94 cms. These bags are washable by hand in cool water.